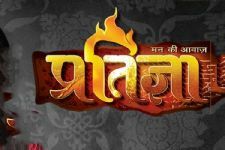 Colors' Shakti... Astitva Ke Ehsaas Kii can now join the category of being a long runner for sure as the show has been on-air for over 2 and a half years now. Amidst this period, the show has been a constant rating grabber too and continues to perform well. 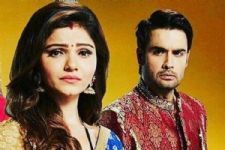 As known, the current track in the show revolves around the death of Surbhi, and Saumya (Rubina Dilaik) fighting for the custody of her sister's child. And while one may think that things may not get any worse now, it will happen with a new entry. According to reports, a new character of Sukhwinder is entering the show soon. Yes! Sukhwinder will be shown to be Preeto's (Kamya Punjabi) younger brother and he will be evil and ruthless. Can you imagine the mountain of trouble that will strike Saumya and Harman (Vivian Dsena) ahead! Also entering the show is going to be Pavneet Singh Bagga, who is best known for being a part of Roadies last year. Pavneet will be seen playing the role of a detective who is planted on a mission. He will enter Harak Singh's (Sudesh Berry) family to get to know their details. my king Vivian Dsena you are my hero . Vivian Dsena my king i love you beyond words ,.